Because sitting at my desk for 11 hours a day isn’t enough, I decided to sit for an extra hour tonight. 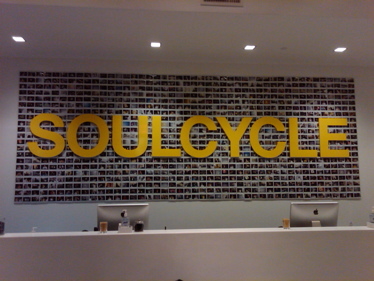 But this is was the most intense sitting of my life: SoulCycle. 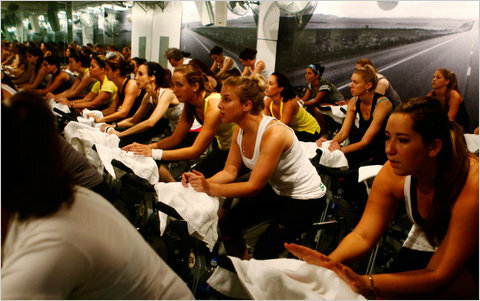 SoulCycle is a bizarre concept, but perfect for New York. It involves around 70 cycling machines in a very warm room, some very loud music and one very shouty instructor. 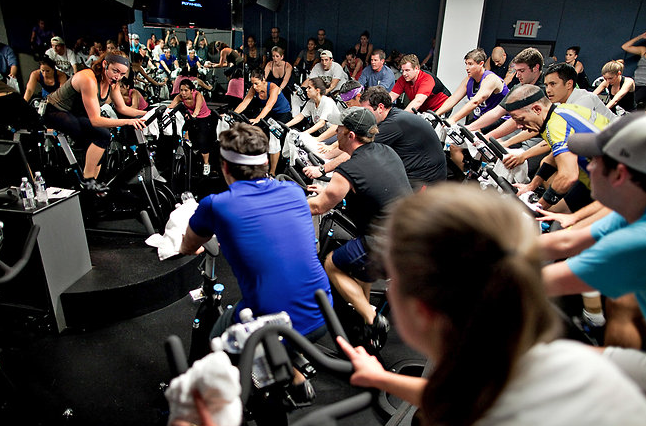 For 45 minutes, people cram into the room within touching distance of each other and ferociously cycle as the mirrors lining the room become increasingly cloudy. There are seven locations in New York, and I went to the one on Lafayette and 4th Street with my friend Katherine, who is a devoted SoulCycler. After signing various waivers at reception, we picked up large bottles of water and special shoes that ‘clicked’ into the peddles of the bikes. Thankfully the machines were also draped with large towels – which would serve as mops just moments later. Our instructor jumped on her own raised bike, switched on the music and switched off the lights. After a warm up song, during which we stayed on our seats (and man, are they uncomfortable), she pumped up the music and we were off. At first I found it hard to get into the right rhythm. It’s more about working your legs than relying on your hips to push, and I had to go surprisingly fast to keep up with the beat. The instructor also incorporated other moves as we cycled, including mini press ups and stretches, which gave enough variety to keep it interesting. As the music switched from upbeat Bruno Mars numbers to slower Mumford songs, we turned a small wheel on the front of the bike to shift up the gears. I could really feel the burn and was almost glad to get back to the uncomfortable seat for a wind down. Just as I was thinking that it was hardly a complete workout because of the focus on your legs, we were told to retrieve small weights hidden underneath our seats for some arm exercises – while cycling, of course. By this point the sweat was dripping down my nose. Delicious. After one final legs-only round, we were done – and the 45 minutes seemed surprisingly short. A swarm of sweat and flushed faces, we emerged into the light and met another 70 spandax-clad cyclers ready for the next session. 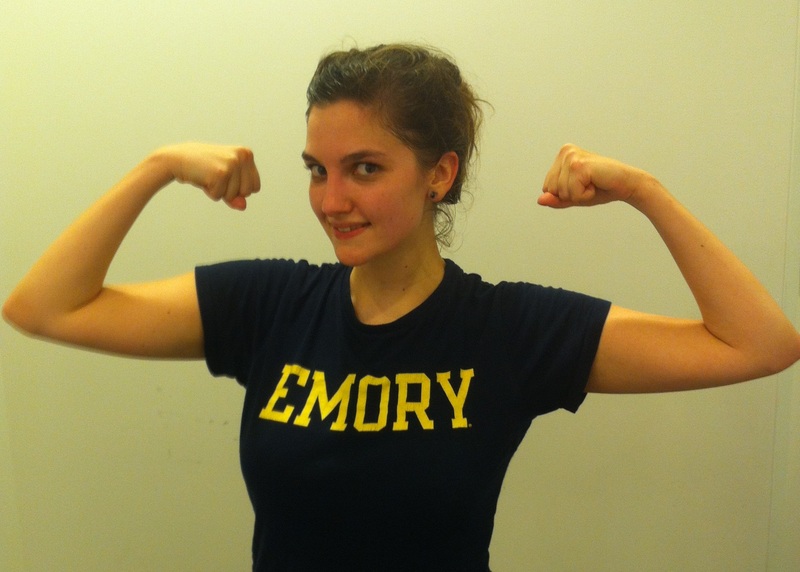 I think last week’s boot camp got my heart rate up more than Soul Cycle, but I have honestly never sweated so much in my life – and it was so satisfying. Plus I got to dance a little. The biggest problems were the teeny tiny changing rooms (two bathrooms and just one skinny corridor for all those people!) and our instructor’s insistence at playing Alicia Keys. But what a brilliant workout!